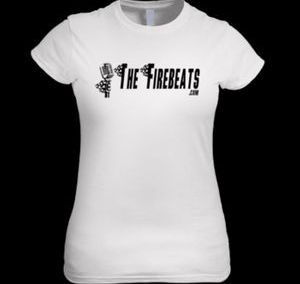 Welcome to The Firebeats - the north east's premiere weddings, functions and events band. 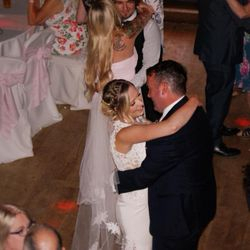 With a range of styles and hit music from across the decades, there really is something for everyone - from current chart hits to good old rock n roll and with pretty much everything in between including 70's glam, 80's synthpop, ska, motown, ballads, reggae, soul, indie, dance, country, britpop and solid rock. 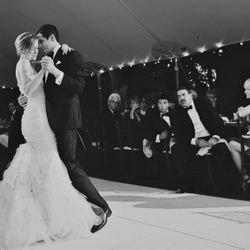 Most band members have been playing for twenty years or more and have played at dozens of weddings, corporate events, parties, festivals and other celebrations. Clients include premiership football teams and players, television and radio personalities, movie stars and production teams, major recording artists and other private individuals. 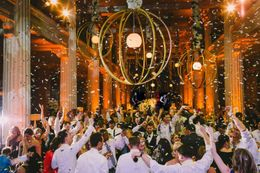 The band have played at corporate events for clients including Jaguar Landrover, Vitality, BOAC, Rolls Royce, BBC, ITV, Reiss, HSBC, Red Bull, WH Smith, Tesco, Budweiser UK, Smirnoff and Heineken. In addition, individual members have recorded and played with major artists and at festivals including Glastonbury, T in the Park, Leeds-Reading and Isle of Wight. 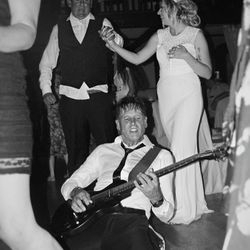 For professional, good value, flexible and varied entertainment at your event, drop the band a line here or email [email protected]. Fronted by the combined vocal talents of Daniel Hunt and Queen Jo G and supported by the amazing keyboard talents of Slacks Wilson, bass by Lord Melchett and the percussion of Ricky Harty, with Dan's guitar and occasional sax, harmonium, banjo and harmonica, they can add any genre of music to their set. CLICK HERE for more detail on their music, track listing and sets. 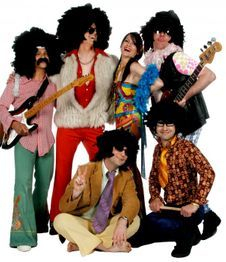 Or if the 1970's is more your thang, boogie on down with The Firebeats Sensational 70's show featuring that classic disco sound mixed with funk, soul, motown, punk, mod, rock, ska, heavy metal, glam rock, funk, hip-hop, psychedelia, reggae, R&B, pop, new wave, plus the birth of the new romantic movement and electronica. All crammed into the Spectacular 70's! The Firebeats Spectacular 70's show features many of these and more as they explore the decade that defined a generation and blazed a trail out of the 60's and into the future. 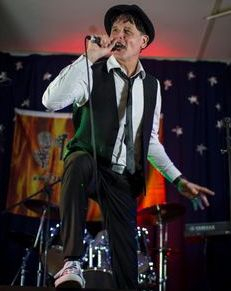 Finally, for a really rock n roll party, try The Jailhouse Jets. 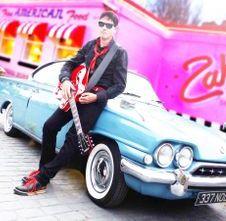 All the best from the 50's and 60's mixed with many other tracks delivered in a rockabilly style. Perfect for themed events and functions. 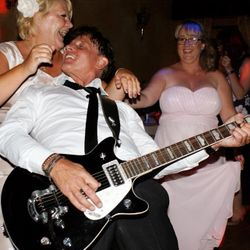 Featuring traditional rock n roll music from The Beatles, Chuck Berry, Elvis, Johnny Cash, Rolling Stones, The Kinks, Fats Domino mixed with music through the decades from acts like Bryan Adams, George Ezra and Jake Bugg, there's something for everyone who loves to rock out! And there's more! - The band can also add a full 70's themed DJ set with all PA, lighting and backing required led by Dan's funky alter-ego, Lord Flashheart. 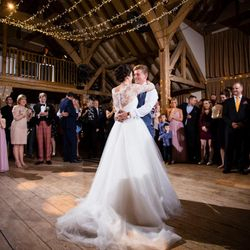 The band can play with the full line-up or as a duo/trio to provide a softer, acoustic set featuring a range of songs delivered in a mellow style to suit an afternoon or evening vibe which can also be booked as part of the full band. 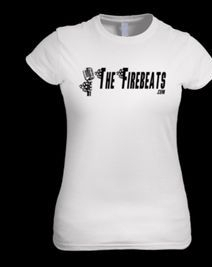 So whatever you want the music at your event to be, The Firebeats are the band for you. 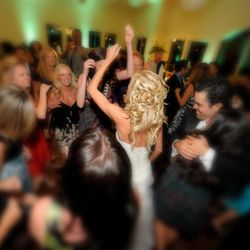 With many years experience playing weddings, parties, festivals, events, club and pub nights and just about every type of music out there, you can rely on The Firebeats to make your event an occasion to remember. 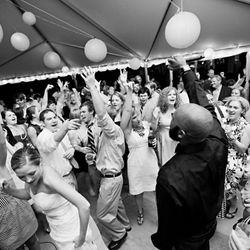 The band provide great value and work with the client to provide the best options for the price. For local events, we keep to sub-£1000 and will help keep costs for charity events to a minimum. The band has an array of merchandise and use give-aways and mini competitions in their sets where appropriate. A free preview/promo CD can be ordered HERE>> and will be posted by return. A percentage of profit from sales go into our charities fund as above (minimum 10%). The band also support a number of different local and international charities including North East Air Ambulance, Cardiac Risk in the Young (Cry), Zoe's Place, Cancer Research and Bridge to Aid. Plus, for every wedding couple, a dedicated tree is planted through the Woodland Trust. CLICK HERE for more. 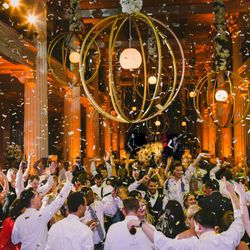 As you might expect, a lot depends on the actual event and the needs of the client but, as a rough guide, our base price for local events is £800-1000. We will always work to limit costs for charity events and smaller venues and, even at a lower price, the band will still perform two approx 45 minute sets (plus any encores!). Extras such as additional musicians, lighting, PA and sound engineering, travel, accommodation, subsistence, staging, etc. will be quoted before booking. 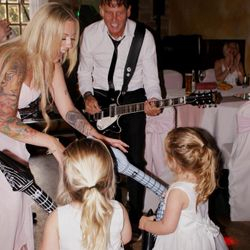 "Awesome entertainment at our wedding. 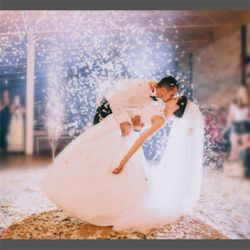 Unbelievable range and loads of fun but so professional and don't break the bank!" 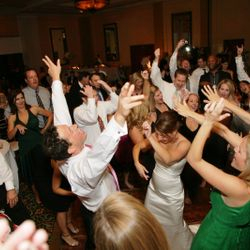 "Everyone commented on how great the band were and much fun they had. Giving out inflatable instruments and things was just inspired. Wow, what a show!" "Can't recommend you highly enough. Just brilliant. Thank you so much"
"The feedback about the band was incredible. Everyone absolutely loved them!" "You can tell the camaraderie in the band from the on-stage interactions and the way they work with the audience. By the end of the performance the band and audience were best friends. Cracking entertainment." "Amazing as always. Thank you so much. Can't recommend you highly enough. We love you guys!" Order tees, caps and mugs to show your support - minimum 10% charity donation made with every order.